Originally published by American Institute of Physics in Journal of Mathematical Physics. Publisher PDF is available for download through link above. Author post print is deposited in the arXiv.org. 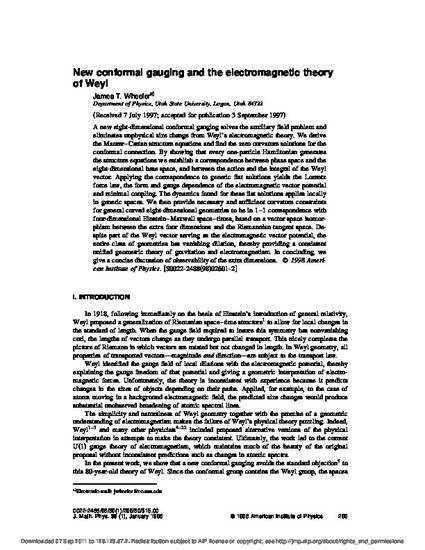 Wheeler, J. T., New conformal gauging and the electromagnetic theory of Weyl, Journal of Mathematical Physics 39 (1) (January, 1998) pages 299-328.